When Peter Lim took over Valencia one of the first things he did was to repaint the Mestalla to the glorious Black and orange monster it is today. Such a simple but intelligent way to start work at Valencia. It shows an identity being projected every time Valencia are on tv, and looks so impressive. Then again when Mr Lim was mulling over the colours or styles to be used in the repainting of the Mestalla you would have to wonder when he got out the local business directories and started looking at the Painters section, did he end up checking out the electrician sections for prices? Surely not! As why would a man as smart as Mr Lim ask an electrician to do a painters job. Thankfully the painters came and did a seriously good job. Nuno Espirto Santo decided enough was enough after a defeat to Sevilla in November, fans heckling him in nearly every game previous since the start of the season, as he wasn’t fulfilling the Valencian fans’ needs .What was going through Mr Lim’s head as to who could potentially replace him? Ramos? Laudrup? Rijkaard? That’s just three of the names who popped up, all with different management styles and philosophies but all successful in their own right, but most importantly, they were all qualified managers. Was it the case when Mr Lim was sitting in a greasy spoon café with Gary Neville, after a Salford city match, chomping down battered cod and chips, did the ingenious idea of asking arguably the best pundit on English football to become Valencia CF next manager? Who knows how the conversation went, but low and behold to the shock of the European football world, it was announced that Gary Neville is to manage Valencia for the rest of the season. Would Peter Lim not have been better off giving the job to Gary’s Brother Phil, who has spent time working with Valencia as assistant coach? He obviously has learned the Spanish language enough to carry a conversation and get his points across. Maybe He just gets on better with Gary. Who knows? 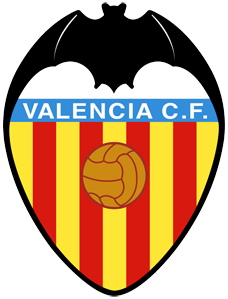 Gary Neville’s time at Valencia since day one has been besieged in doubt from ex coaches and players to the most important footballing people of them all, the fans. His record since arriving is abysmal for a team and squad like Valencia’s. If the season started when Gary took over Valencia would be languishing bottom with the equally abysmal Espanyol. Nine games and no wins, five points from twenty seven, If this say Las palmas you could easily understand the run of results, but it’s not! When he took over they were only five points from the champions league spot, they are now five points from the relegation spot. Its all negative reading. But why is he still there? Rafa Benitez got the sack from Real Madrid when they were second and still in the champions league,.Now Madrid and Valencia are two different kettles of fish ran by two completely different characters ,but should Lim take a leaf out of Florentino’s book and sack him ,quickly ,and get someone in to at the very least save them from relegation? Of course he should! But why hasn’t he? According to media outlets Lim has backed Neville until the end of the season. Fair enough, but if Valencia’s results continue in the same vein of form , he will be looking for a new manager for next season to dig them out of the Segunda ,as that’s a genuine possibility ,no team is too big to fail. Recent press conferences have almost mirrored themselves from the previous one to the next one, with the same question being asked over and over again. “Will you resign?” And it’s been met with the same response. “No!” .and “I’ve already answered that question!”. It seems that the Gary Neville soap opera is going to continue for now. Games against Barcelona at home, which will be an easier prospect for Valencia as Lucho may decide to rest his whole first team, and a home game against fellow strugglers Espanyol at the weekend will surely give him some breathing space if he manages at least to put a performance in against Barca and a win against Espanyol. But what if he loses to Espanyol? Will that be the final nail in the Coffin for Lim to realise that Gary is actually Clueless when it comes to management? Or will Gary Neville remain stubborn and refuse to throw the towel in? Either way for the second weekend in a row in La Liga , the Valencia game will be the one a lot of neutral La Liga fans will be watching ,with either ammunition lined up for Gary, or excuses for Espanyol.